The washroom plays an important role in portraying the image of an establishment. 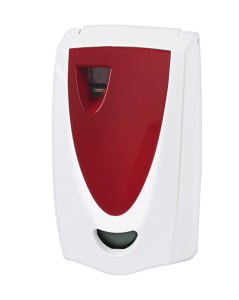 The Ellipse dispensers are available in a range of premium finishes, which means that the washroom can be equipped with an attractive set of matching units. We have custom inserts in four colors (red, white, turquoise and beige) and four patterns (water drops, carbon, metal and wood).